SAN JOSE, Calif. - March 4, 2008 - To help service provider and enterprise edge networks simultaneously host an ever-increasing array of resource-intensive integrated data, voice and video business and consumer services, Cisco® today announced the introduction of the Cisco ASR 1000 Series Aggregation Services Routers (ASR 1000 Series). The ASR 1000 Series features software virtualization to enable "instant-on" provisioning and simultaneous use of a wide range of service functionality, including firewall, IP security virtual private networks (IPSec VPNs), deep-packet inspection (DPI) and Session Border Control (SBC). Such broad-ranging embedded capabilities eliminate the need to deploy multiple single-function appliances in addition to a router, offering dramatic savings in capital costs, operations expenses and reducing users' carbon footprints. The Cisco ASR 1000 Series is driven by the new Cisco QuantumFlow Processor (QFP), the industry's first fully-integrated and programmable processing engine. The Quantum Flow Processor results in not only outstanding scaling of service intelligence and performance but also in the platform's ability to be retasked to meet many emerging requirements as networking evolves over the coming decade. (See: http://newsroom.cisco.com/dlls/2008/prod_022508c.html.) In addition, The ASR 1000 Series features Cisco IOS® XE software, a virtualized Cisco IOS implementation optimized for compact routers at the edge to deliver in-service software upgrades and software redundancy in a form factor much smaller than previously possible. In addition to the rich Cisco IOS edge feature set, IOS XE provides IOS command line control to provide a familiar look and feel for Cisco IOS users. Together, these silicon and software elements help to make the Cisco ASR 1000 Series, which was purpose-built for edge networks, the most powerful compact router in the market. Cisco invested $250 million U.S. over more than five years in the research and development of the Cisco ASR 1000 Series. This figure includes $100 million invested in the Cisco Quantum Flow Processor. "Next Generation Networks will enable a broad range of services in a wide variety of combinations, many requiring high-quality, high-definition, bidirectional communication to meet customer demands. In contrast to conventional best-effort approaches, we believe it will be necessary for the edge of network to perform dynamic quality control to flexibly and securely enable aggregation of traffic from broadband services and converged communications," says Nippon Telegraph and Telephone Corporation (NTT), executive vice president, Shin Hashimoto. "The Cisco ASR 1000 Series is expected to provide the functions essential for such IP NGNs in a flexible and scalable manner, with the high availability that we and our customers demand." "We operate IT systems for our customers that are critical for their core business processes. So nonstop operations are an extremely important issue for us. We are witnessing an increased demand on highly secure, scalable, and reliable IT infrastructure services," said Bardo Werum, vice president of Cross-Industries and Operation at Lufthansa Systems. "The Cisco ASR 1000 Series helps us meet those demands. For example, the 'in-service software update' feature offers great improvements towards nonstop operations." The Cisco ASR 1000 Series combines all of the necessary service features into a single router platform, resulting in a substantial increase in IP forwarding performance. It also simplifies network design because a single router can be used in different hardware deployments and provides different services based on software enablement. For providers, the Cisco ASR 1000 Series enables not just faster, application-aware services, but also increases the overall service capacity due to more flexible, efficient, and cost-effective delivery of complex "any-play" consumer and business services, whether they be hosted or managed. For enterprises, the Cisco ASR 1000 Series addresses the wide-area network (WAN) edge as a key gateway for business success where information, communication, collaboration and commerce converge, helping to enable anytime, everywhere access to applications. "Wachovia's wide area networks are undergoing a series of significant transformations to incorporate new technologies and new services that underpin delivery of information to our associates and customers," said John Burns, vice president of network services for Wachovia. "The Cisco ASR 1000 Series is uniquely positioned to blend a very positive total cost of ownership with flexibility and innovation to support not only our current requirements, but those that we are just beginning to envision. Scalability, security and reliability are three areas where we look to the Cisco ASR 1000 Series as a ground-breaking platform." The Cisco ASR 1000 Series also enables service providers and enterprises to reduce their carbon footprint. By surpassing the capabilities possible in multi-device, multi-vendor solutions, the Cisco ASR 1000 Series dramatically decreases both the architectural complexity of deployment for service providers and enterprises but also their carbon footprints as well. Analysis conducted by Synergy Research found that, when compared to competitive offerings, each implementation of the Cisco ASR 1000 Series can result in carbon footprints savings up to 3754 gallons of gasoline or 17 tons of coal annually. Additional information on the analysis can be found here: http://www.srgresearch.com/store/cisco-asr.htm. 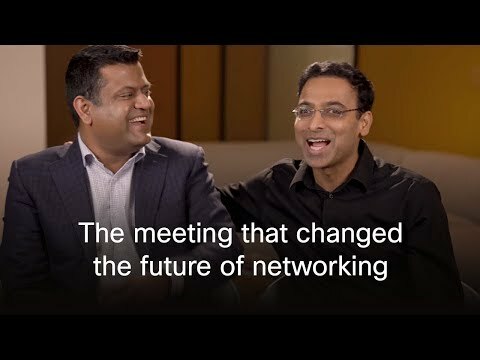 "With respect to flexibility in the network, the Cisco ASR 1000 Series is unsurpassed, incorporating new technologies to support rapid business innovation, without having to rethink network platform decisions," said Pankaj Patel, senior vice president and general manager of the Cisco Service Provider Group. "Any comparable configuration would not only cost much more, but require more rack space, consume more power and require additional blades or network appliances in order to equal the capabilities that are already integrated into this compact, multipurpose router." The Cisco ASR 1000 Series Is scheduled to be generally available in April 2008 in two-, four- and six-rack-unit sizes, with pricing starting at $35,000 U.S.